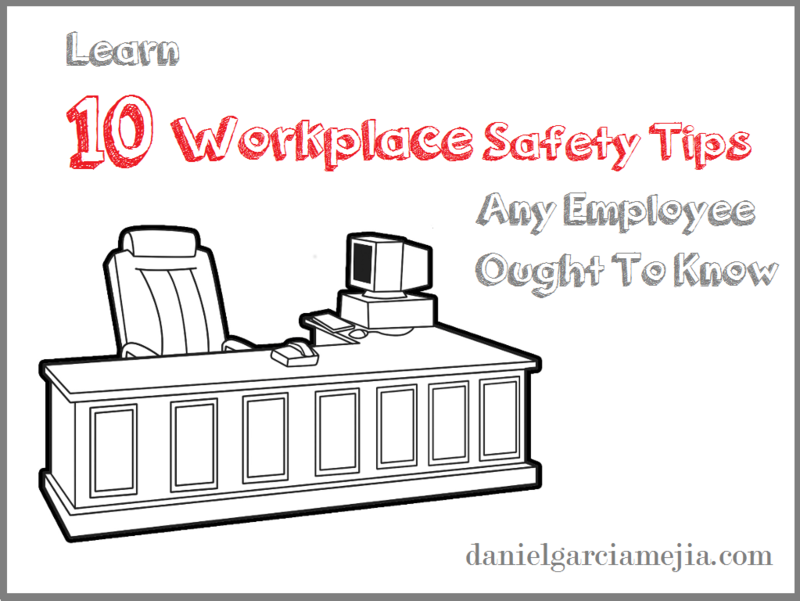 Here are 10 workplace safety ideas and tips that every worker ought to know. Use this list to educate your staff about how to create, maintain, and enjoy the shared responsibility of a safe workplace environment. This particular step means that employees need to know the specific hazards their workplace or job might present. Once everyone knows these risks, then you can stay clear of possibly hazardous areas or situations. Always be mindful of machinery, active or otherwise. If your work is primarily at a desk, then keeping your shoulders in line with hips helps to avoid back issues. When picking anything up, use proper form to protect the back from injury. Do not twist or stoop. When possible, use furniture that is ergonomically designed or any available safety equipment, so that all you need is easily reachable. A lot of illnesses and injuries related to work happen just because the employee is tired, not alert to the surroundings, or even burned out. Regular breaks help a person stay fresh. One useful trick to staying fully alert is to schedule the most challenging tasks to times that your concentration is going to be highest, like first thing in your morning. According to We Do Training, it’s best to use appropriate precautions when you use tools, and never skimp or take a shortcut. The use of shortcuts is a frequent cause of workplace injuries. When any worker chooses to climb scaffolding like a ladder or use the wrong tool, it’s a tremendous safety risk. Always use the appropriate tools for the job or task at hand, and use them the right way. In the event of an emergency, you’re going to need easy and quick access to any exits. It’s highly recommended that clear access to equipment shutoffs is maintained in the event that anyone needs to stop equipment from functioning quickly. 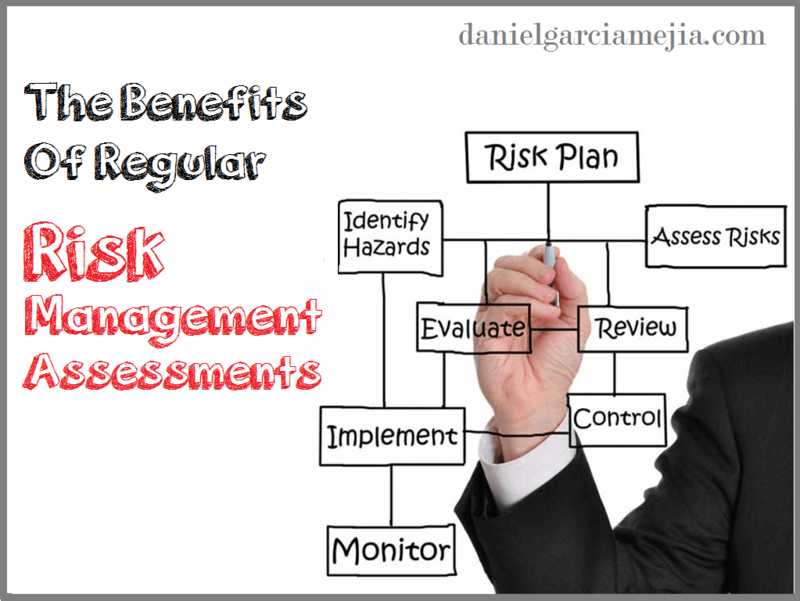 Your supervisor should stay informed about risks and safety hazards in the workplace. They have a legal obligation to make sure that employees are working in a safe environment, so they need to deal with any unsafe conditions to you and your fellow employees are safe. Rather than trying to lift or carry things that are truly heavy just to save a few minutes, take the extra moment to get a wheelbarrow, forklift, crank, or conveyor belt. So many injury risks center around workers trying to pick things up that weigh more than they can physically handle alone. Approximately 3 out of 100 workplace fatalities happen due to things like drugs and alcohol. When an employee’s ability to remain alert, concentrate, maintain coordination, use full motor control, or exercise good judgment is impaired, then there are many risks that can lead to a workplace injury or fatality. Stress is something that can lead to problems concentrating or even depression. Frequent causes of workplace stress include things like long hours, interpersonal conflicts, job insecurity, and heavy workloads. Talk to your supervisor about your concerns regarding workplace stress, and see how they can possibly help you address the issue. If you aren’t wearing the proper safety equipment for the task at hand, you might suffer an injury. Contingent upon what you’re specifically doing, equipment such as a full-face mask, safety goggles, earmuffs, earplugs, hard hats, or gloves might give your body the protection it needs. The responsibility of getting employees on board with any workplace safety efforts is on the shoulders of business owners and facility managers. Employees need constant encouragement in order to become and remain active members within the process. Share workplace injury stats and data with them, and let them know the risks that their jobs inherently present them daily. Make incentives available to reward anyone who exemplifies outstanding workplace safety behavior. These initiatives are simple, but they are also very effective. There are a lot of business owners who complete their own VAT returns. This can take a lot of time which could be spent on other aspects of their business. It is important that when you complete your VAT returns that you claim back everything you can and reduce the risks of any errors at the same time. 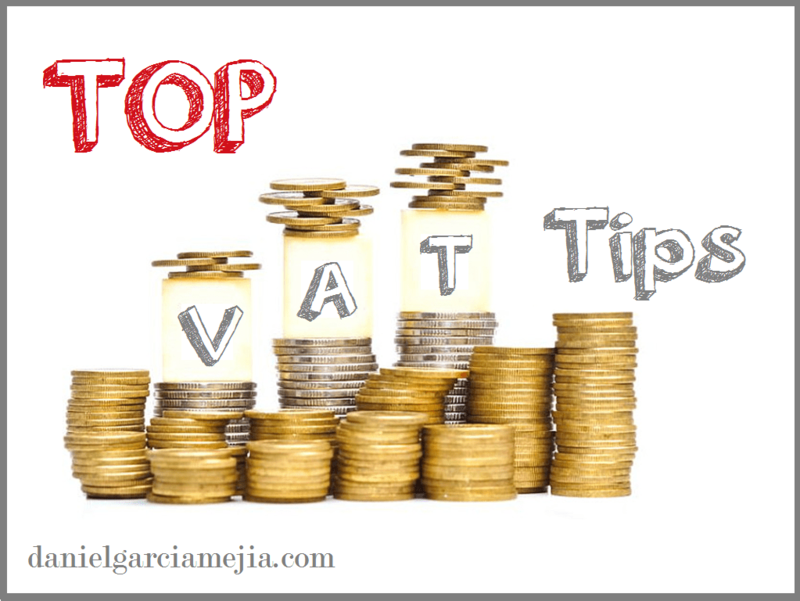 There are a number of VAT tips that you should know to make your tax position more efficient. There are many business owners, particularly those that have limited companies, who claim mileage to cover their business motor expenses. It is possible to claim VAT on the fuel of the mileage and this is determined according to the advisory fuel rates. To claim, you will need to determine the fuel rate per mile and then multiply this by the number of miles done for business use. You will then have to apply the VAT fraction to the number and this is the amount you can claim. There are a number of different VAT schemes that your business could benefit from. Depending on your business industry, you could benefit from a flat rate scheme. This scheme calculates VAT as a percentage of your gross income. This is a simple to use scheme which makes VAT calculations easy, you are also likely to pay less in VAT when you use this compared to the more standard schemes. Many people do not realize that when a customer’s debt has been outstanding for more than 6 months and you are unlikely to receive payment, you can claim any VAT previously paid to the tax authority. It is important that you regularly review who owes you money. There is a method you can use to avoid reclaiming VAT on bad debts and this is to use a VAT cash accounting scheme. When you use this scheme, you will not have to include VAT from a sale when you have not received the customer payment. The Vat will only appear on your VAT return after payment has been received. VAT is a tax that businesses will collect for the tax authority. This is why you need to consider having a separate bank account for VAT so you do not fall into the trap of spending VAT on your business. This could result in cash flow problems when you have to pay the VAT to the tax authority. When you have a separate account, you can set aside the VAT at the end of every month so you have no nasty surprises when the end of the quarter comes. Check out these VAT guides from VAT Global. It is important that you try and reduce the risks of errors when it comes to completing your VAT returns. Good accounting software will record your invoices and include them on your VAT return. This should eliminate the risks of VAT being declared twice or missed completely. Using a cloud based accounting systems will also make it easier for your accountant to review the information and make any amendments to the VAT return before you have to file it. There are a number of online cloud based accounting systems that you can use. Of course, you need to ensure that it is user friendly and that you completely understand how to use it correctly. The newest trend in how people take their coffee is no longer some cream and sugar but instead, a slab of butter. Now, instead of using cream people are replacing it with butter and many say it’s the best thing ever. While it might sound strange at first, we’re going to discuss the reasons why you just might want to try out this newest trend. It’s highly likely that you’re skeptical but the fact is that not all butter is bad. We recommend that the only kind of butter you should use in your coffee is butter made from cows that are grass-fed. The unsalted brand that is very common is called Kerrygold and it’s one that most will be able to easily find in stores. But you might be wondering why it’s important to use grass-fed butter. Until the last half-century, all cows roamed the fields and fed off the grass. But several decades ago it was found that by feeding them soy or corn they would fatten up more quickly and so now it is more common for cows to be fed those grains rather than being allowed to roam open fields of grass. The milk the cow produces is considerably different for those fed grains and those allowed to eat grass. 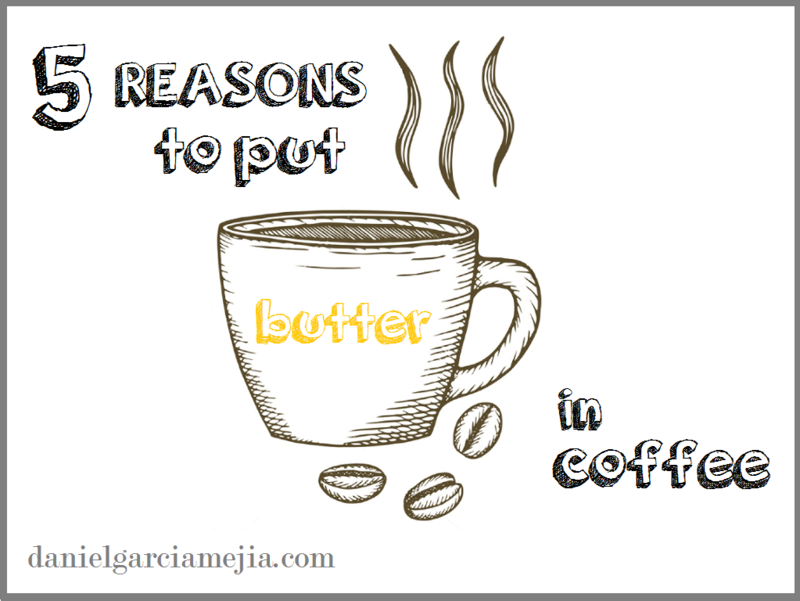 Discover the following five reasons why you should seriously consider using this type of butter in your coffee in place of milk or cream. Cows fed on grass produce a high-quality milk that has many healthy fats and properly regulated cholesterol. It has a balanced ratio of a mega 3 and omega-6 fatty acids and a decent source of vitamin K. These all help to reduce any risk of heart disease. Both the body and the brain uses the healthy fats found in this butter to help create hormones and cell walls. Butyrate is now believed to help prevent neurodegenerative diseases, it is a good anti-inflammatory and increases a person’s energy. Many common breakfast foods trigger the body’s mechanisms into storing the food as fat but this type of butter does the opposite. It invigorates the body’s system that allows it to better utilize food for energy and helps the body to release fat from its cells and either burn that for energy or otherwise dispose of it from the body. A good cup of joe along with this butter will fuel a person’s energy for up to 6 hours without the usual lull that happens around mid-morning for most. Those that want to amp it up even further can add coconut oil which gives the coffee even more healthy fat and will help it produce ketones which makes the body burn fat instead of carbs. You can actually skip breakfast by simply adding 2 tablespoons of butter or MCT oil in your coffee instead of just one to replace the morning meal. That makes this a perfect solution for those who are busy and ordinarily skip breakfast. This blend makes coffee taste deliciously creamy and most can feel an immediate energy boost. Those that want to go all out with this drink may want to consider adding the highest quality coffee beans and MCT oil.This oil has demonstrated its ability to boost the brain’s focus. If typical breakfast meals and your morning cup of joe just isn’t getting it done for you anymore, then this may well be the perfect choice for you.